With Memorial Day just a few days away, I'm reminded again of the sacrifices made for our freedom. 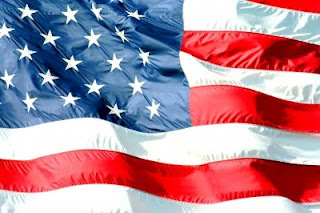 Many of you reading are connected to a friend or family member who has served our country... I hope you'll give them a special "thank you" this weekend. But as I was looking for something new to post today, I found Adopt A US Soldier. This program links citizens to a soldier serving somewhere around the globe. I guess this is another one of my exceptions to my "Colorado" post. There is no guarantee that your soldier will be from Colorado. However, because of the bases located across Colorado, and because this is such a simple way to express gratitude no matter where you live, I'm okay stretching my topic a bit. The process is very easy. You submit your information via their website and within three days you will be connected with a US soldier. You correspond via posts online. You can follow AAUSS on Facebook or on MySpace .That's it! And what an awesome way to help our kids do something to give back. This is a great place to start with children who are learning to use the computer and writing letters. I know there are many other organizations that support our troops. Is there one you'd like to share? Please leave a comment.